Well, well, well. Barnes and Noble's Simple Touch Nook made no mention of having web browsing capabilities. But if you type any URL into its search bar, that web page will magically appear before your eyes. 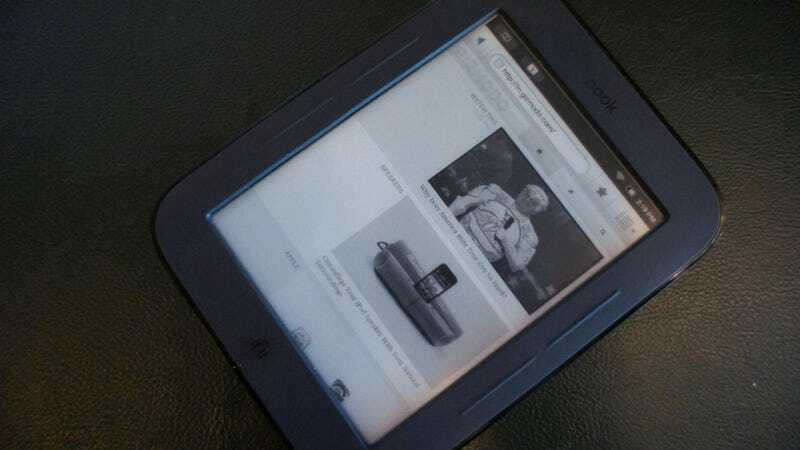 Browsing isn't really all that enjoyable, as it's monochrome and requires you to wait for the E-Ink screen to catch up to your commands. But, I guess if you need to look at something and have no other device around, it will suffice.